The following text is the translation of a pamphlet of the group Mouvement Communiste, written in 1973 by Jean Barrot (aka Gilles Dauve), as a means of solidarity for some Spanish revolutionaries arrested in Spain facing harsh penalties. It might seem a bizarre selection, considering that the armed struggle (which so much shaped the struggles of the 60's and 70's) is largely non-existent today in Europe, especially so in the UK. Yet, the text does not simply deal with the armed struggle. It deals with the issue of violence in general, not in an abstract way but in clear connection with the social movement of the proletariat. Taking it out of the limited framework of the situation in Spain in the 70's, we believe this text to be a useful critique/analysis of the fetishism of violence, a tendency which is also visible in parts of the direct action scene in Britain. The Spanish State arrested in the end of September 1973 around ten revolutionaries, whom it presented as 'gangsters'. Three of them are threatened with the death penalty. They could be sentenced by a court martial and executed within 48 hours. If some of them indeed robbed banks, they did so to fund the printing of texts that are circulating in the radical workers' movement of Barcelona. And if a policeman died, that happened after an ambush of the police. The point is to understand what some proletarians are historically forced to do. Violence is always a means for the satisfaction of a demand: in Spain, where the police shoots unarmed strikers in cold blood, violence appears directly as a social relation. The simple writing of texts or the circulation of pamphlets carries the penalty of many years in prison. Thus those who want to resist exploitation resort to violence more often than in other countries. Democracy drowns workers struggles through politics and reformism. Fascism has fewer reservations and crushes them with violence. Whoever recognises in the State the monopoly of violence denies the proletarians the right to abolish their condition: wage labour. Those of the Spanish proletarians who managed to escape into other countries are now wanted by Interpol as criminals. The democratic and fascist States help each other: the international arrest warrants allow their handing over to the Spanish police. Many of them are threatened with the death penalty. In order for us to save them the truth has to shine about the real -proletarian- nature of their activities. Whoever does not expose the lie becomes a collaborator not only of the Spanish state, but of the French and all the others. On the 16th of September 1973, the police caught two Spanish revolutionaries after the attack against a bank near the French border. A wave of arrests in Barcelona followed. During one of them, on the 24th of September, a member of the "guardia civil" was killed, while the culprit of the murder was seriously wounded. The Spanish police and the press want people to believe that it was a bunch of gangsters. There are at least 12 with charges against them, three of which are threatened with the death penalty. In reality the attack on the bank was part of a series of armed actions, which started a few years ago by various amorphous autonomous groups in the area of Barcelona. The purpose of these actions was to collect money for the support of revolutionary activities in the workers' movement. Anyway, many of the groups signed their actions as "Autonomous Groups of Struggle", thus showing with the common signature the common character of their actions, although they do not in fact consist of a single structured organisation. These actions did not have a political purpose, in the sense that politics consists of actions on others, they did not aim for the coordination and organisation, the formation of recognised power that seeks a position in society. The bank robberies did not turn the bank robbers into vendettas of the spectacle, they did not aspire to capture the imagination, but merely provided the material means for action in a country where a large quantity is often needed. (For example, illegality often makes the publication and circulation of texts difficult and costly). Whoever blames them for their actions is even further back than Proudhon, who knew that property = theft. Of course theft does not destroy property. But it is a means -limited but useful in many cases- for the organisation of the struggle against the world of property. It is totally useless to express a priori judgements "in favour" or "against" methods whose use is the matter of circumstances, thus in the final analysis a matter of social conditions. These actions cannot be made irrespective of time and place. It is not by chance that in the beginning of the century the Russian revolutionaries resorted to similar actions in a society swept by brutal repression, in a State which -as the Spanish one today- did not hesitate to drown unarmed workers in blood. The materialist conception of violence excludes any principled position, either in favour of these methods or against them. It does not invert the principles of bourgeois society in order to transform terrorism into an absolute good, nor does it condemn it as an absolute bad. The revolutionary does not steal in order to give to the poor, like the French maoists who distributed caviar to the immigrants. He steals in order to satisfy a -social- need of the revolution. Of course, to the degree that he explains his action (something that the Spanish comrades did repeatedly by addressing those present in order to express the purposes of the robbery), his action gains a new dimension. It reveals the existence of another social movement, of a different dynamic within society, and this revelation is subversive. But this is a consequence, a mere secondary result. Those who resort to armed violence with the main aim of wining over the spirits or the hearts in order to extort pressure for their official recognition, either fail or they impose themselves as the new power (for example: the Palestinian commandos in the first case, the Irish IRA in the second). In reality it is capital which by its very nature robs and expropriates, stripping people from their environment at all levels. It denies people, even things (see the polluted nature) from their being in order to integrate them, it transforms them into its objects, its monsters -since they are neither themselves nor solid spanners of capital- and all they know is a divided life and society. It is very natural then that those who rise against capital engage into all sorts of re-appropriations: material, psychological, theoretical, and also economic or financial. So long as capital exists, money remains the privileged mediator of all social activity. So long as the enemy triumphs it imposes its mediation everywhere, without exempting revolutionary activities. In some cases, radical people or groups are inevitably led to the violent appropriation of sums of value, even though their purpose, their same logic and their being, directs itself against all forms of value. This will surprise and scandalize only those who do not need means for action simply because they are not active or those who have a bureaucratic mechanism (state capitalist organisations), or in the extreme cases those who have the support of a State (like the Spanish Communist Party which is supported by Russia). In parallel with the terrorist actions, the workers' movement of Barcelona developed an effective network of connections, especially with the proletarian libraries and with the active engagement in the autonomous workers' struggles. We would have to remind that after the double defeat of the proletariat (which was crushed after the coordinated attacks of fascism and of anti-fascism), the Spanish proletarian movement experienced a rise at the beginning of the 1960's; this rise was expressed in 1962-65 with the appearance of the "Workers Committees", as a direct result of the wave of spontaneous strikes which started from the mines in the Asturias. In 1966-68 all the traditional parties and organisations infiltrated the Workers' Committees (in fact the CP infiltrated in the state union C.N.S. ), took control of their leadership and transformed them into reformist structures. In between 1968 and 1970, the impact of the French and Italian movement, in relation to the Spanish situation, caused within the Workers' Committees a series of ideological struggles, splits, and, in general, developments in the direction of the extreme-left. After, in 1970-73, there is a rise of workers' struggles which refuse the bureaucratic and hierarchical controls (burning of leaflets, kicking political members out of workers' meetings, etc). Exactly this phenomenon is what the State is trying to attack, by equalising all those charged and those in prison, which it tries at the same time to destroy and to slander (one aim facilitates the latter). It aims at the destruction of one of the expressions of the autonomous action of the Spanish proletariat. Decisively opposed to all forms of reformism and of democratic anti-fascism, these groups and circles had as an eventual aim the proletarian programme of abolishing wage labour and of exchange. It is characteristic that they translated and distributed a series of French communist texts, like J. Barrot's study of the Russian Revolution, the introduction of the book "La Bande a Baader", an article of "Negation", and Beriou's text about Ireland. Moreover, they showed a zealous interest in reading Pannekoek and Bordiga, without however theoretically following one or the other. With the progress of these actions, some elements who have resorted to robberies decided to abandon such activities. The robberies had proven useful of course at the beginning of the movement (we are not able to say whether their influence was decisive), but in the next phase they were becoming increasingly pointless and dangerous. We ignore today why and how the comrades who were arrested on the 16th September organised another robbery; we therefore refrain from forming an opinion on the matter until more information is available. It is however certain that the State aims with this chance of diminishing the seeds of the totality of those activities" 1) by presenting the actions of armed struggles as gangsterism, but mostly 2) by equalising the most radical elements of the workers' movement who had no relation with these actions with the actual culprits. We have to do whatever is possible to make the truth shine on these two points, without mixing them up. Revolutionary violence is not another means that is used because other means were proven to be ineffective. Neither is it a defense against an attack, as if we always have to defend a violent action by presenting ourselves as "defensive". The theories of defensive violence simply play the game of the enemy. Moreover, it is not an end in itself and does not find its justification in itself. It is used (as material violence, psychological violence, etc) for the accomplishment of an aim. In this sense it belongs in every society, even in the communist one which will include conflicts since every relation implies a conflict. Neither harmony nor anarchy exist in an absolute and static situation; one determines the other. In the communist society, individuals and groups -who will have the capability of transforming their lives all the time- will have conflicts and at the same time the means to deal with them without hurting or mutilating others or themselves. The very content of "violence" thus gets a sense so new, that the term is used here only for technical reasons: it's the language of the contemporary-prehistoric society. Violence is the essential character of the existing society against the contradictory nature of capital. Even in periods of prosperity and peace capital destroys goods and people, it leaves certain productive forces unused, it creates hunger. It is well known that the car has killed more French people than the 2nd World War. Violence is also ideological: forcing people to speak a specific language, erasing the local historic past, imposition of a strictly defined sexual practice. Capital even accomplishes the murder of the dead, i.e. of the past labour accumulated by previous generations, when it neglects or destroys the material infrastructure that it does not want or does not want to maintain. Capital, simply through its function, deteriorates, and crushes the bodies and spirits. The truncheon is an exemption. The "police State" is a component element and the product of a much more generalised phenomenon. Collective resistance against capital includes violence as a means for the destruction of oppressive social relations. Or actually, something more: isolation is abolished in a collective practice that is, among others, violent. During the revolution, the human community re-emerges through violence. Violence is a means for the alteration of the relations of production and its use towards that direction is a collective act. Thus, violence becomes a positive way of refusing the social organisation, from the moment it goes it turns against its roots. Some individuals or groups are forced to organise the collective use of violence in order to impose the satisfaction of their demands. In contemporary France, rarely is the issue of revolutionary violence posed in radical activities; but it becomes an issue of increasing vitality when the struggle against the State, the left and of the extreme left, takes the proportion of an open conflict and it is necessary to impose yourself practically in order to be able to express and to develop certain activities. In Spain, social relations promote a more pressured need to resort to violence, including armed struggle: in this way certain "military" duties are more pressing. But, even in this case, violence is the result of social needs that cannot be met otherwise, and not of the self-empowering logic of military mechanisms, cut off from social life and composed of people who have understood the need to resort to the armed struggle and as a consequence are organised and they recruit for that purpose. The movement is forced to resort to violence, and in the organisation of this violence, in order to meet certain needs. Of course in this sector, total improvisation leads to failure. But also a constant and specialised organisational form will not have better results. The "preparation" for the use of violence is not the task of organised groups with exactly that perspective: it is a matter of bonds and means that exists within the proletariat and through it. The proletariat is not only the "outcast" and the negation of this society: in order to refuse its condition, it puts into practice the very means that the "proletarian experience" offers to it, its social existence and its function. It finds within its own being the elements of its programme, but also the means to realise it. At a social level, the armed struggle is conducted mainly in the network of relations that are a consequence of the proletariat's existence. The "preparation" for revolt is mainly a matter of theory, engagement in the social struggles, contribution to the progress of certain ideas, creation of relations and contacts, etc. There is no need for the creation of "specialised" military units with a label and with an organisation aimed at the use of violence. Every single action can be accomplished with the collaboration of individuals and groups which are neither organisationally constructed nor specialised; and it should be judged in accordance to its content and not to the logic of specialised "military" groups. The need for a label means that an organisation of armed struggle adopts as a criterion violence itself and not activities connected to real needs. The Guevara logic of guerilla fighting consists of exactly the creation of a military pole unconnected to any social movement. When a group considers itself the nucleus of a future "revolutionary" army, it acts outside of the proletariat and in most cases against it; it thus tends to be transformed into a micro-power, to a kind of preliminary State which stands as a candidate for the replacement of the old state mechanism. In Spain there is a direct connection between revolutionary activity and "military" infrastructure, since every activity comes into conflict from the very beginning with the military violence of the State (repression of strikes, of gatherings/demonstrations, of the distribution of texts, etc). The necessity of a "military" infrastructure, i.e. of an organisation of violence, is thus obvious. But there exists a problem: what sort of infrastructure? In our opinion this infrastructure should not be an end in itself, but should be the instrument that allows the realisation of the rest of the activities, because it is them that play the decisive role. When for example a brochure is printed the problem is for it to circulate, and not to maintain a "military" structure which might be necessary for bringing it in the country from abroad. The revolutionary organisation organises the various specific duties that compose its reason of existence, and not itself. Its aim is not hijacking struggles in order to include them into its accomplishments: on the contrary, it makes sure that its activity theoretically and materially belongs to all, and that it helps, to an increasing extent, the initiatives which do not stem from itself and are beyond its control. Political organisations do the exact opposite. It should be added that the former way of organisation proves to be more effective against repression. Of course there can be groups of struggle, but only as means for the class struggle. The purpose is the most effective possible expression of the subversive perspectives within the social struggles -which include the potential for armed struggle within this framework- and not the existence of well-organised and ready-for-all military groups. In the latter case, the groups that were formed outside the proletariat will remain external to it. The organisation of the organisation, on the one hand, and the organisation of the specific activities on the other, result into totally different relations within the social movement and the working class. The practice of the Spanish revolutionaries did not aim either at the formation of a military mechanism nor to terrorism against individuals or buildings which represent the existing order of things, but the accomplishment of a limited material function. But every activity reproduces the conditions of its existence which tend to perpetuate it beyond the limits of its function. The less powerful is the social movement, the more the means are transformed into objectives. Thus the organisation of armed activities in illegality tends to create its own self-empowering logic: new financial needs, reasons for new robberies, etc. The only way for one to escape this dynamic is to have a clear conception of the targets of the movement. It is much more important to create groups of workers and to perform robberies if they think that it is useful, than to organise a military mechanism. The decisive criterion is not either centralisation or autonomy: the importance lies in the content of their activities. If they proclaim themselves as a constant and specialised mechanism, they lose all contact with the social struggles. There is the proletariat that struggles and there are individuals who organise themselves and might potentially decide to commit a robbery; not a military organisation from which stem all the rest as logical consequences. When it is necessary the social movement resorts to violence. And [translator's note: illegible word], those who do not use it, explain it and justify it theoretically. The danger would be to recreate, under the pretext of practical necessities, a new type of a professional revolutionary, who stands out of the proletariat, not by inserting consciousness to it, but by fulfilling a duty that the proletariat, "left to its own powers" is unable to fulfil. We would thus revive "leninism", by substituting a violent act of the proletariat (to which we belong) the activity of groups (whether centralised or autonomous) composed by specialists of violence. The history of the movement shows that the groups of struggle that are organised outside of the proletariat end up, regardless of their good intentions, to autonomise themselves from the class struggle, by recruiting people very different from revolutionary proletarians and acting on their own behalf: for money, for self-projection or simply for their survival. This is what happened to the Bolsheviks. The understanding of the phenomenon is a necessary precondition of a radical critique of leninism. Revolt destroys people and goods, but with the purpose of destroying a social relation and to the degree that it succeeds. Violence and destruction are not identical. Violence is mainly the appropriation of something with dynamic means. Revolutionary violence is a collective appropriation. Although capital needs to destroy in order to triumph, the communist movement on the contrary means the control of people over their lives. The "positivist" or "rational" or "humanitarian" conceptions neglect the real problem. State-capitalists insist on the acquisition of power, whereas the point is the acquisition of the ability to act, to transform the world and ourselves. We do not need structures of power, but the power to change the structures. Moreover, they speak about arming the proletariat without connecting that to the content of the movement. Civil war plays the game of capital when it does turn against it. The problem is not arming the workers and their armed struggle, but the use of their weapons against commodity relations and the State. Civil war is not the absolute good opposed to the absolute bad of the imperialist war. A civil war can be totally capitalist and in fact posits two factions of the bourgeois state as opposed. The criterion for its evaluation should be the productive relations and the army: so long as commodity relations, and the military violence that upholds them, triumph, there is no movement towards the direction of social subversion. We always have to pose the question what does violence do, what do the workers do, even if they are organised in militias; if they support a power that maintains capital, it is nothing but a more developed form for the integration of workers to the State. The war in Spain brought into opposition two forms of the development of capital, different but anti-proletarian nonetheless. As soon as the workers' militias, that were formed to fight Franco's coup, accepted to be integrated in the democratic State, they made peace and they prepared a double defeat: against Democracy (crushing of the proletariat of Barcelona in May 1937) and against the nationalists. In this case the proletarian movement was once again a matter of content and only after that a matter of form. In non-revolutionary periods, radical groups may have as a duty -among others and when it is needed- an organised violent practice. But they cannot act as an armed faction or a military part of the proletariat. Simply these revolutionaries remain proletarians like the others, who are led to enter a moment of armed struggle that results in a certain degree of illegality. The danger is for them to consider themselves as a separate and autonomous group, destined to use violence indefinitely. If they proclaim themselves and they act as specialists of violence, they will have a monopoly over it and they will detach themselves from the real social needs that exist in the subversive movement. Indeed they will tend not even to express their own needs. In relation to the rest of the proletariat, they will be transformed into a new power which seeks its recognition, as a mechanism which is at first military and then political. The term "terrorism" could be used in a wide sense as the use of terrorism: in this sense capital is by nature terroristic. In the narrow sense, as a particular practice or some times strategy, it is the application of violence in the vulnerable parts of society. When it is not a constituent element of a social movement it leads to a violence detached from social relations. In countries where there is a harsh repression and in which the working class is atomised, there is a dynamic of terrorism in the cities that soon appears as the conflict between two mechanisms: of course victory belongs to the State. In the same way as workers often consider political struggles as a world above them, they often observe the conflict between the State and the terrorists, counting the victims. In the best of cases they feel a moral solidarity. We can in fact wonder if this conflict doesn't actually help in maintaining the social problem as secondary. The means can potentially be transformed into the aim: here's a truth that does not only apply to violence. Theory, for example, a means for understanding and acting more effectively, can be reduced to a substitute for action. The results of this phenomenon are nonetheless very serious in the case of violence. 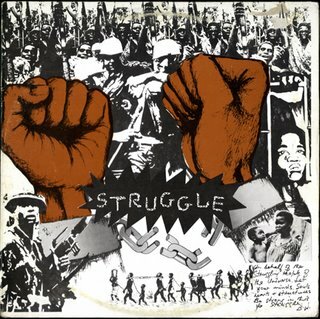 Nobody can play with the "armed struggle". There are actions which, even though the point is not to "condemn" them (that is the function of judges), we can neither support them or consider them a positive fact. Capital desires the self-destruction of radical minorities. It forces certain revolutionaries to feel that they can no longer stand it: a way of neutralising them is to force them to take up arms against it. We are not referring to "agent provocateurs", but to social pressure. In such a case we cannot say that certain comrades were forced to act in this way and that's all. For a function of the social movement, as well as of the revolutionary groups, is to organise the resistance against these pressures. Of course theory does not fix everything. The understanding of a thing does not mean that a correspondent practice will follow. But theory is a part of practice and that we cannot ignore. Those who condone or refuse to criticise any violent act, fall into the trap of capital. There are two illusions. It is thought that violence, because it is more directly related with reality, transforms it more than, for example, texts. But violence, in the same way as texts, can be used as a substitute of another practice. To be revolutionary has as a criterion a real tendency towards subverting the existent. Baader initially wanted to awaken the German proletariat, but he found himself isolated, not numerically but socially. At this point we have to deal with the other illusion, concerning the violence of the "masses". The criterion is never numerical. A small numbered minority can accomplish positive violent actions, if it is part of a social movement (something that applies to non-violent acts as well). Subversive action does not need to find refuge within the masses nor does it try to impress them with particular actions. By definition, those who oppose "minority violence" to the "violence of the masses", use the term masses while referring to the mechanisms that organise them, the big parties and the trade unions. The more contradictory society becomes, the more it separates and atomises people, the more it intensifies the need for a community. Violence is revolutionary and it contributes to the formation of the human community only when it attacks against the foundations of the existing society. When it merely maintains illusions of pseudo-community, it is counter-revolutionary and it leads either to the destruction of subversive groups or to their transformation into extra power structures. These observations are nothing but a small contribution to the discussion of the problem and they were collected hastily with the purpose of helping the Spanish comrades. Those imprisoned need, on the one hand, the truth to shine in relation to the revolutionary character of their energies and also the press to be notified of their case so that pressure can be exerted to the court; on the other hand, the revolutionary movement has to take care of their defence and the clarification of their actions. "Revolutionary" help cannot but come from the subversive elements themselves. In fact the second duty is a precondition for the first one, for it is not possible to expect the left or the extreme-left to essentially help people who fight against them. Solidarity has no meaning outside of a practice: for that reason the usual campaigns "against repression" are by definition self-advertising actions of the organisations undertaking them. The individual can only offer his sympathy and the organisations that specialise in solidarity gather these individuals without doing anything. Solidarity suffices itself with organising solidarity. It is in fact highly reactionary when it condemns "scandals", at the moment when the supposed scandalous fact is a simple result of a cause which is conveniently placed outside the scope of critique. They thus end up denouncing or re-arranging the most obvious facts of social repression, while at the same time they save or modernise the whole. Properly speaking the revolutionary movement does not organise any particular support. Its members -individuals or groups- support each other naturally through their activities and give each other the necessary help. The problem of "support" is only existent for those outside of the revolutionary movement. The subversive movement supports only those who need help through deepening its action, both in the field of relations and contacts and in the field of theory. It goes without saying that when we fight for the accused to have a "political" trial we do not demand any sort of privilege for the "political" prisoners as opposed to the "criminal" prisoners. We might identify in their gangsterism capital's extreme tendency to live with clear cons and to create businesses without capital, and in turn show that the accused of Barcelona are not gangsters. Yet that is far from demanding any form of superiority of the "political" prisoners as against the "criminal" ones. As if any person who knows how to reproduce some Marx quotes has an advantage over others!! "Political" prisoners are not superior from the others. We do not demand this quality to be recognised in the name of a principle, but as a tactical means for decreasing their penalties.